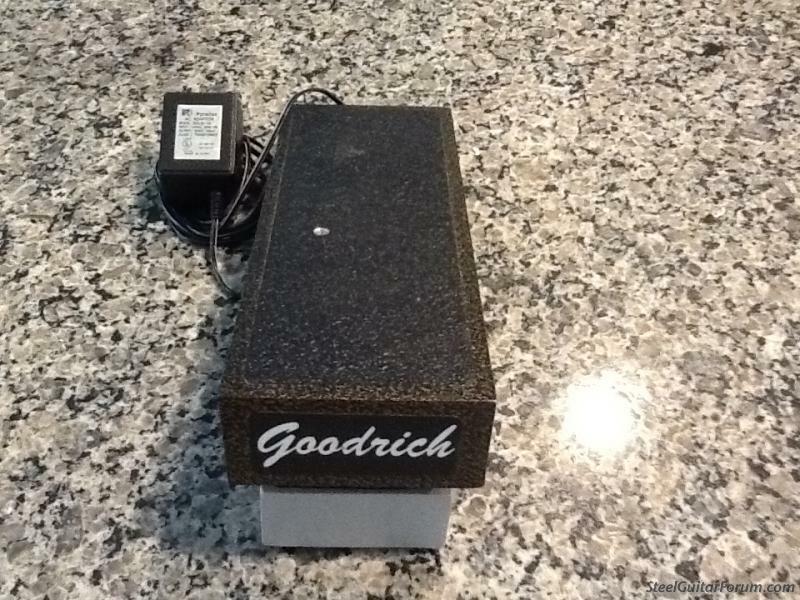 Goodrich LDR electronic volume pedal with power supply. Works as it should, I just have too many toys. $200.00 shipped and insured to the lower 48. Here you go for a heck of a deal. $125.00 shipped. 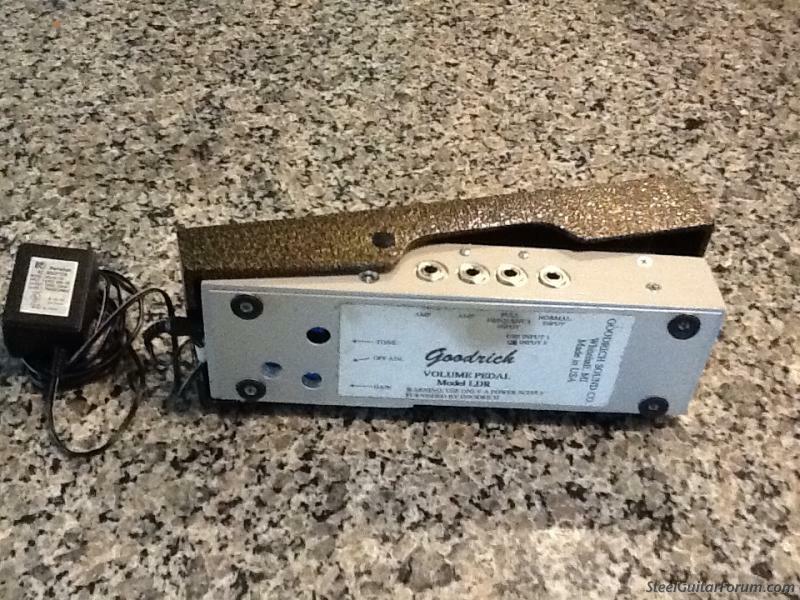 You can't hardly find a good pot pedal for that price! These pedals are active, right? Can parts be obtained for these? Uses power cord, not battery? Sho Bud Super Pro, Fender Twin Reissue, Martin HD-28, Gibson J-45, Gibson RB-250,Stelling Bellflower,Regal Dobro, Takamine and Alvarez Classical, Fender Telecaster, Peavey Studio Pro 112. Mainly played Gospel and some bluegrass. These are active pedals and operates on AC adapter only. The adapter is readily available should it ever needs to be replaced. Not being an electronics tech, I can’t comment on replacement parts, but would imagine there was nothing out of the ordinary used when built. What's the power supply output? Or, could you post a close-up of the power supply sticker? Hey I emailed you, did this sell?